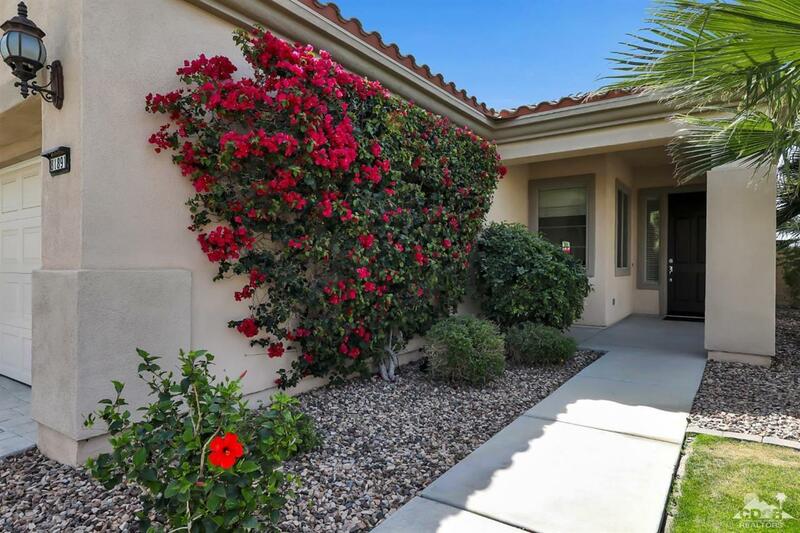 This Charming Canterra is located in Sun City Shadow Hills. This complex is a gated development offering a resort like lifestyle. Kitchen has stainless steel appliances, granite countertops, double oven, and lots of storage space. 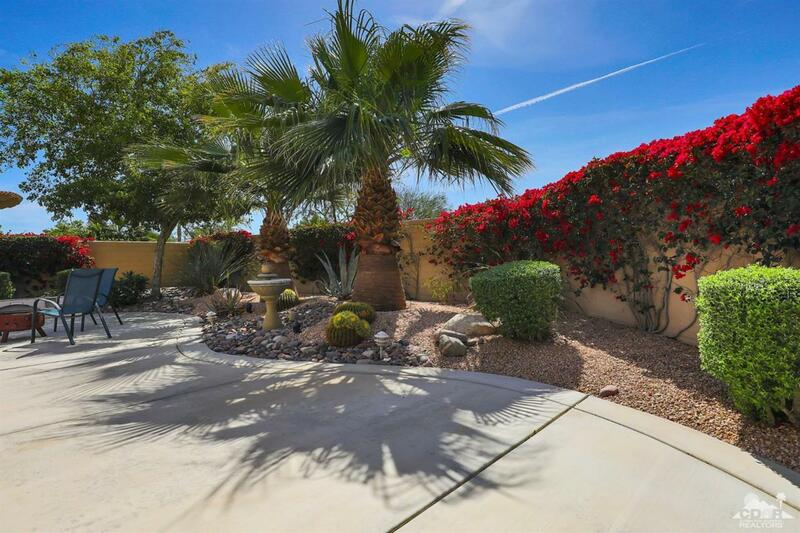 Open concept takes you to a large, professionally landscaped backyard with mountain views. Also, enough space to build a pool. Extended patio and covered overhang to shade you from the sun. Large master bedroom with adjoining bath. Double vanity and walk in shower, while guest bathroom has shower/tub. Close proximity to the Monroe Gate. Over 40 social clubs, day excursions to sporting events and museums. 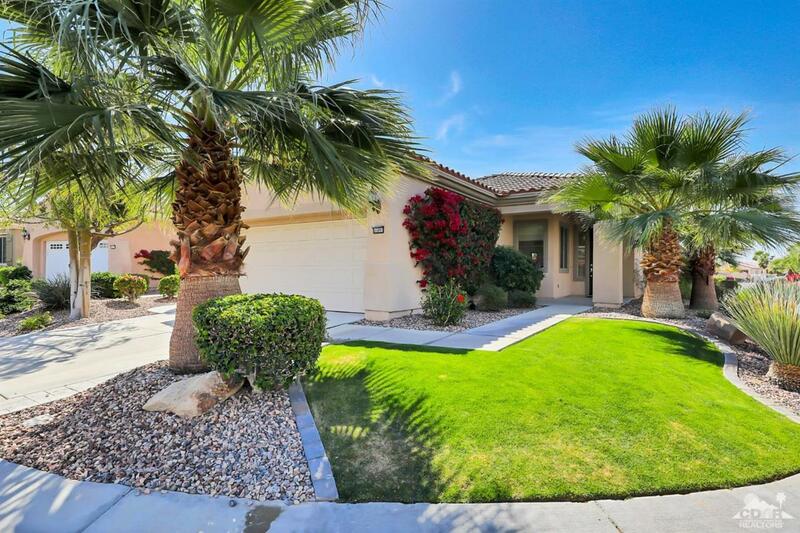 3 swimming pools & spas, tennis, bocce and pickle ball. 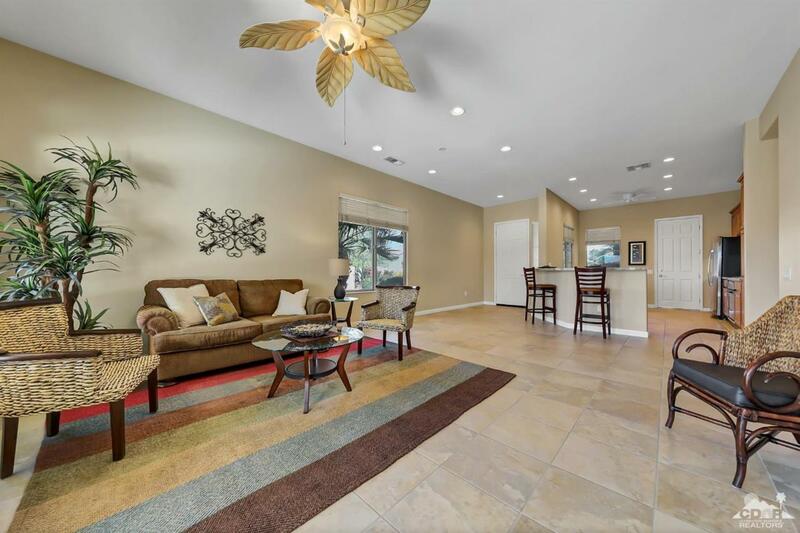 Listing provided courtesy of Shirley Prather of Hk Lane Real Estate.